The weather is going to remain pretty much the same for the next few days as we are in a high pressure area. The Fog is likely to stay through most of the day. If it does clear up overnight it will get down to around -3ºC or -5ºC. There is a slight chance of precipitation on the Weekend but UWash doesn’t expect much action until Monday. It’s Colder Here than the North Pole. It’s dark at the North Pole this time of year. It’s dark all the time. It’s cold there too. And icey. However, these are not normal times and right now things are not normal at the North Pole. As has been widely reported over the past few hours, the huge storm that brought Tornados and flooding to Texas and other parts of the US, and snow to the East of Canada is now ‘bombing’ in the North Atlantic. A weather “bomb” is classified as a low pressure are that drops in pressure by 25hPa in 24 hours. Obviously this one met that condition! The JetStream is dragging it into the North Atlantic and dragging warm air all the way from the mid latitudes to the North Pole! 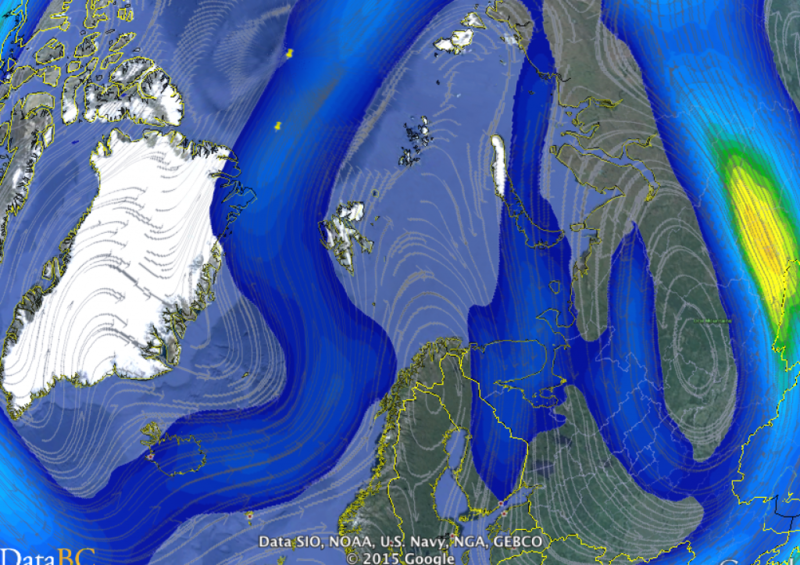 In the image above the blue is the jet stream. The yellow pin closest to Greenland is an icebuoy (#300234062785480) that is about 500km (the distance between Seattle and Port Hardy) from the North Pole, the other yellow pin. 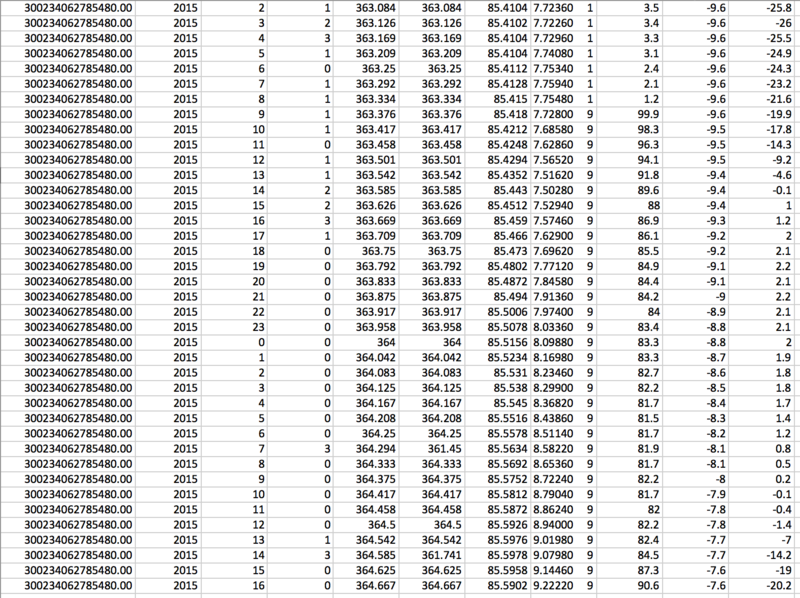 Here is that ice buoy’s data for the past day look at the last column on the right. Between Midnight UTC today and now, the temperature has gone from -25.8ºC to +2.2ºC and then back down to -20.2ºC. The pressure column is a little messed up but if you stick the 9 to the other two numbers in the 3rd column on the right you’ll see the rise in temperature coincided with a drop in pressure related to that storm. That is some change in temperature! And not exactly normal. Last night we had our first widely felt Earthquake in the South Coast region since the 6.8M Seattle/Nisqually Earthquake in 2001. Reported sizes still vary. 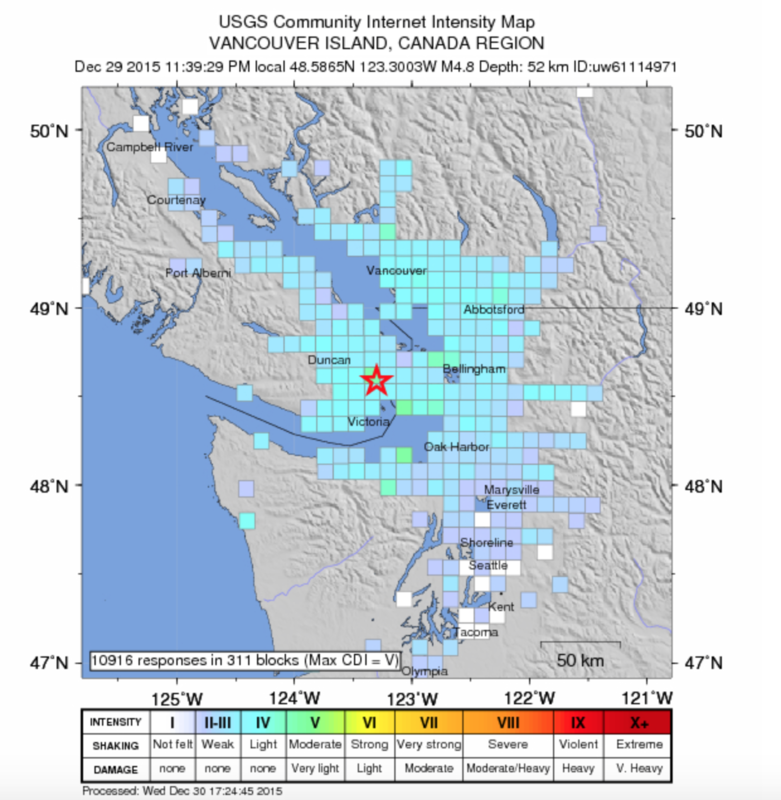 The USGS says 4.8M, the Canadian Earthquake centre says 4.3M. 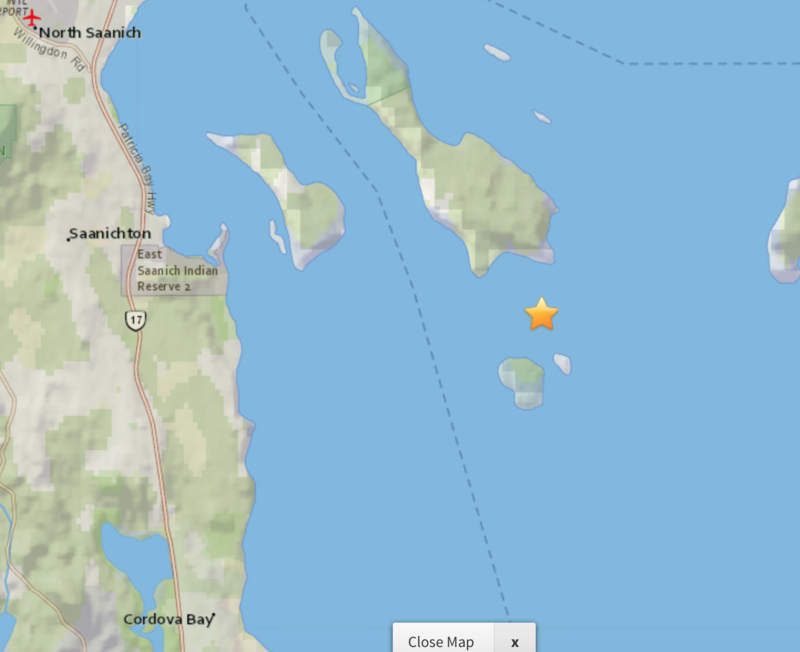 The USGS says it was 52.5km underground. The USGS has a cool shake intensity map derived from citizen reports of the shaking they felt. Previous 4.8M Earthquake hits Victoria. 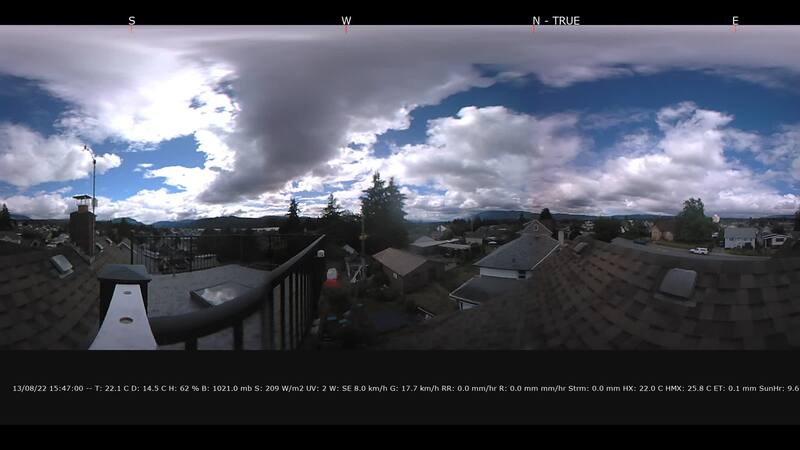 No Tsunami Warning at This Time. Next Updated 10AM : Unexpected Monday morning Snow in Nanaimo. Possibly more coming.